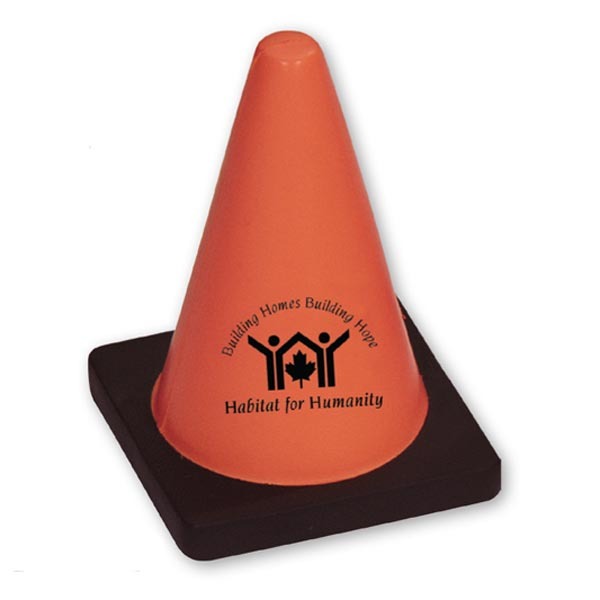 This construction cone stress reliever is a memorable promotional giveaway that will help take the stress out of your next campaign! Measuring 2 1/2"W x 3 3/4"H x 2 1/2"D, this eye-catching orange-and-black product is a handy therapeutic aid that will look great in your workspace. What an outstanding handout for building companies, safety programs and more! Customize with an imprint of your brand logo for increased exposure on a must-have keepsake. Size: 2 1/2 " x 3 3/4 " x 2 1/2 "